Come See the Paradise shines a light on one of the most mysterious parts of America's past. This film is set in the Great Depression in Los Angeles. The story revolves around Jack McGurn. He works at a movie theater in the Japanese part of Los Angeles and falls in love with his boss's daughter, Lily. He finds himself forbidden to see Lily, but escapes with her to Seattle. 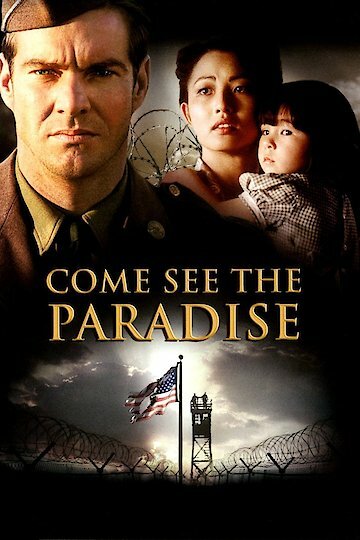 When the war breaks out he must deal with the fact that his wife has been assigned to live in an internment camp. Come See the Paradise is currently available to watch and stream, buy on demand at Amazon, Vudu, Google Play, iTunes, YouTube VOD online.